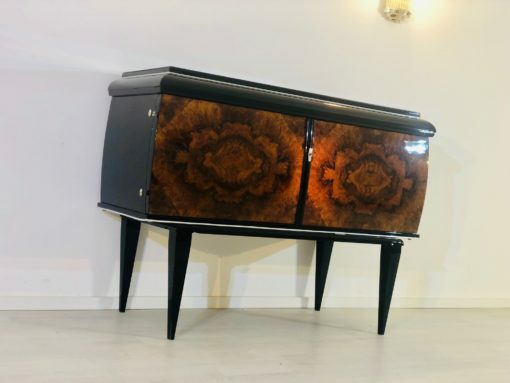 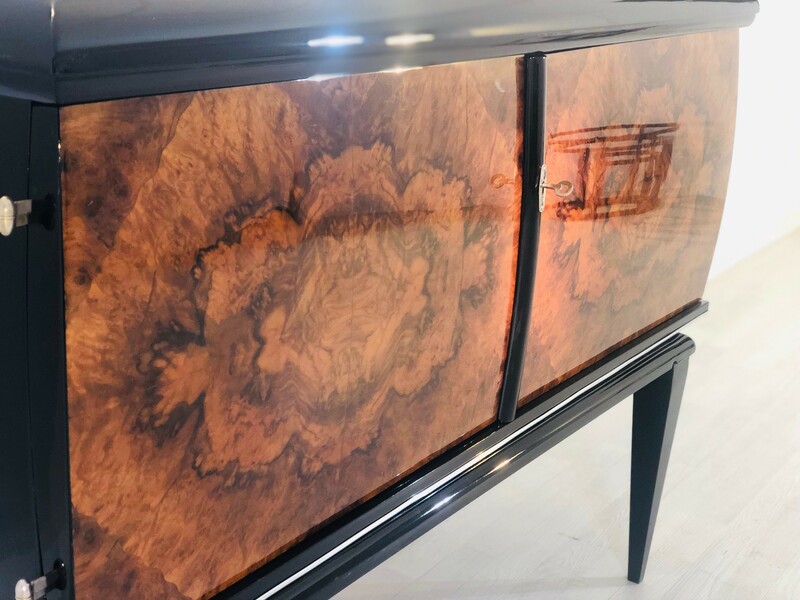 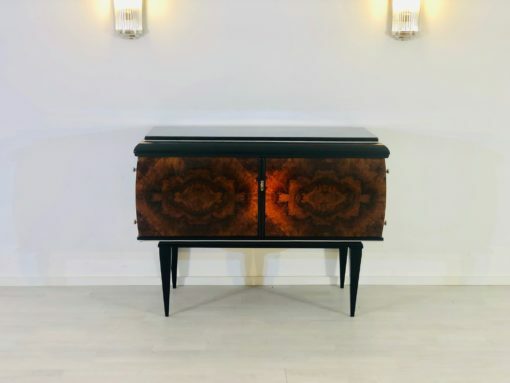 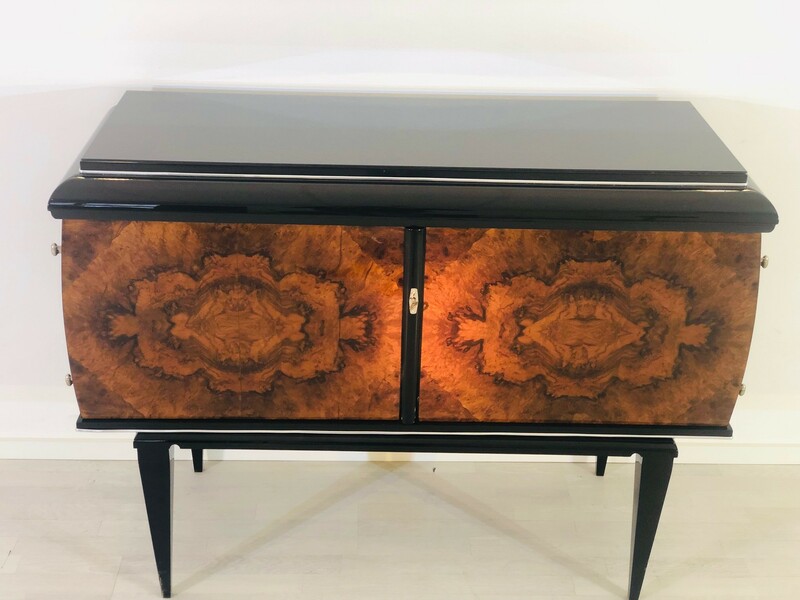 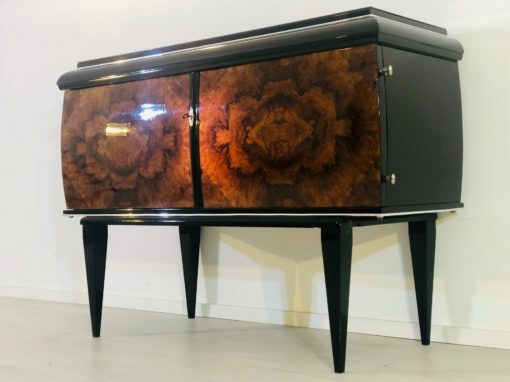 Elegant Art Deco commode on pointing feet with a stunning walnut veneer. Features a rare and beautiful graining on the curved front doors and a noble, light brown color. An original 1930s masterpiece from France. 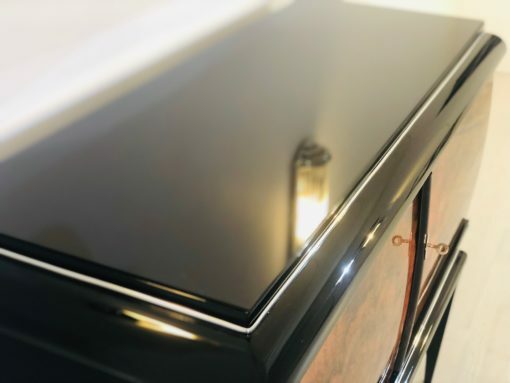 The commode top, side panels and filigree pointing feet are finished with our signature high gloss black piano lacquer. 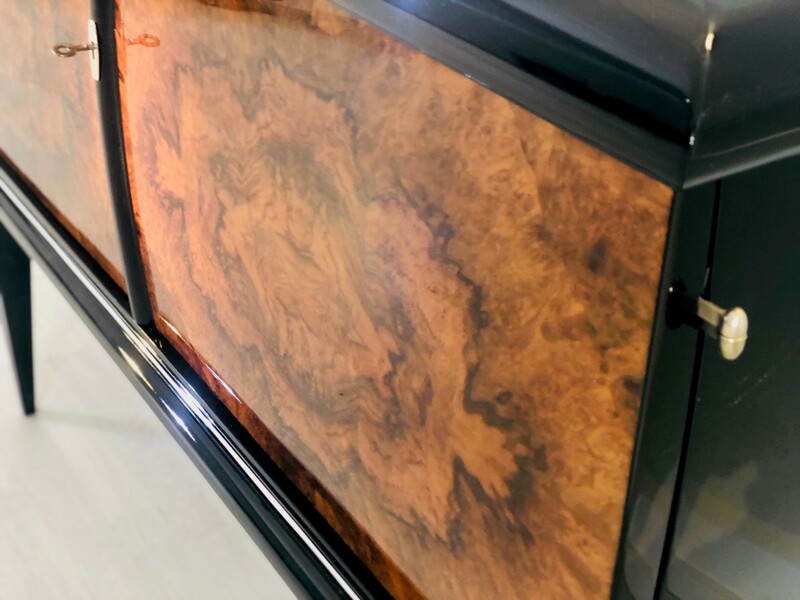 The interior is mahogany venereed and offers storage space on a shelve. 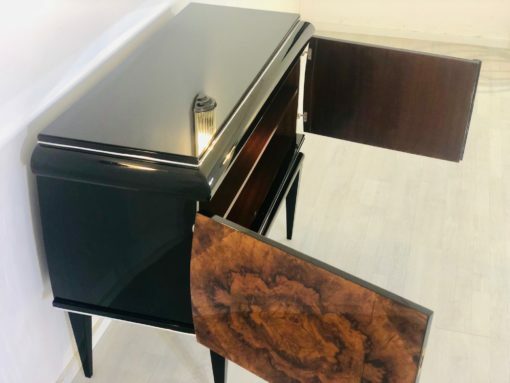 With original hinges and working lock/ key combination. 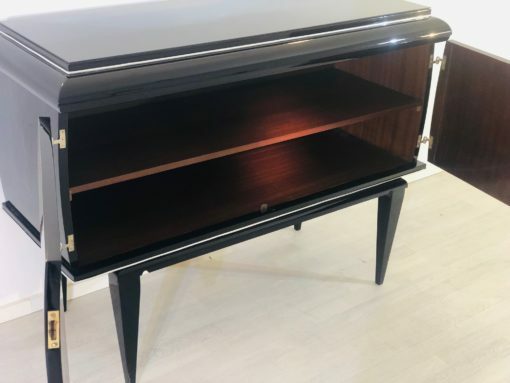 A beautiful item of the Art Deco era. Limited time sale offer, the commode will be auctioned in March.